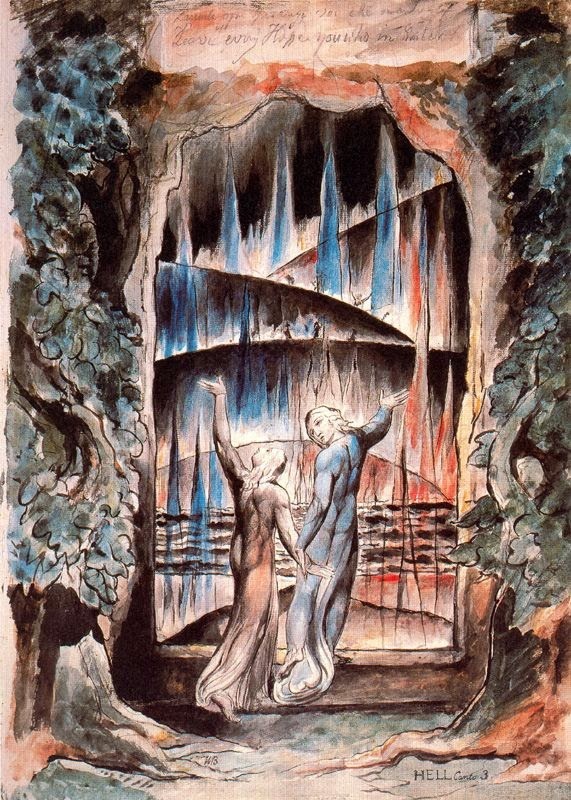 In Canto 2, Dante succeeds in overcoming his fear of what may lie ahead if he agrees to undertake a difficult journey through the underworld escorted by Virgil, the Roman poet. Virgil persuades Dante that despite the perils of such an undertaking, success is assured because it has been willed by Heaven. Canto 3 commences at the Portals of Hell where they are greeted by the immortal words, "Abandon hope, all ye who now enter." 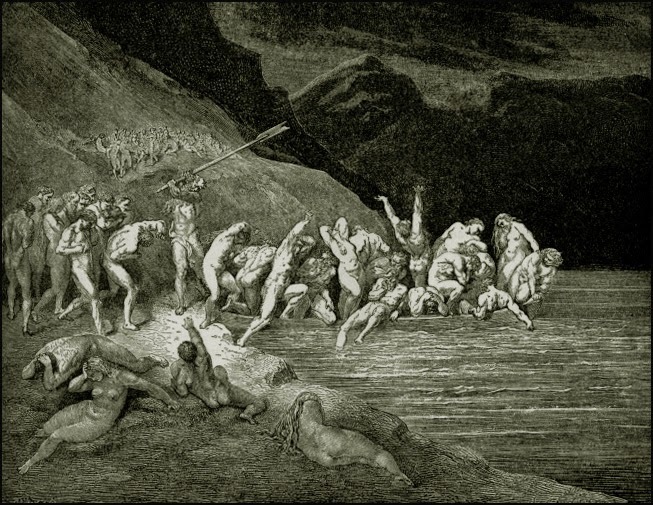 It is here that Dante gains his first glimpse of the finality of the predicament confronting the vast number of souls gathered on the banks of the Acheron River, each waiting their turn to be ferried across the dismal waters by the ferocious boatman, Charon. 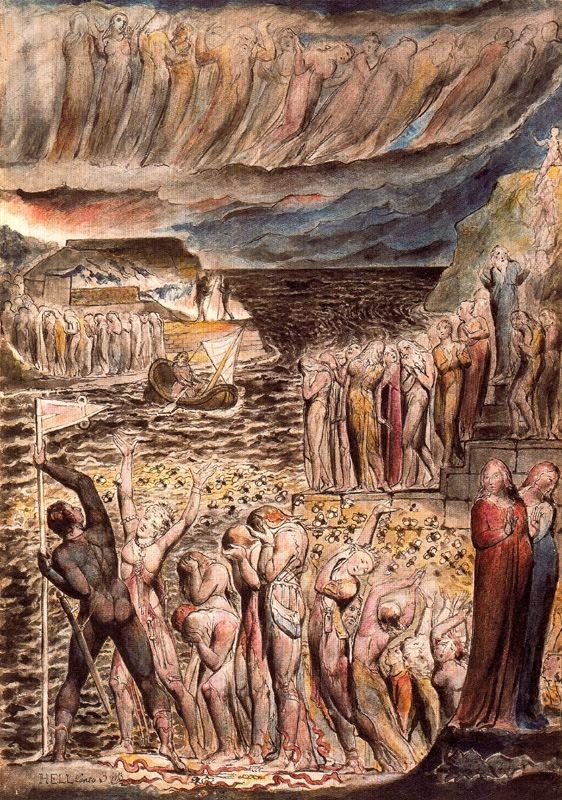 Canto 3 of Dante's Inferno can be streamed using the media player above. A CD quality audio file is also available for download here. [Audio and text for Canto 1 can be accessed here. That surged and hovered and stormed all around them. To be sucked up by worms that were waiting below. Undone and unmade by the coming of death. Who dishonoured his life by a stubborn refusal. This is generally understood to refer to Pope Celestine V, who abdicated the papacy in 1294 after holding the position for a period of only five months. This enabled the ascension to the papal throne of Pope Boniface VIII whose interference in Florentine politics directly resulted in Dante's exile. As will be seen in later cantos, Celestine is not the only pope that Dante relegates to hell. This reference also introduces the reader to another important aspect of La Divina Commedia as a whole. 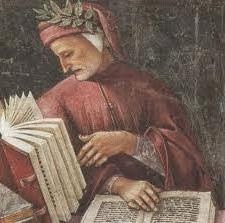 Throughout this poem, Dante progressively reveals the breadth of his knowledge and understanding not only of the historical currents of his own time, but his familiarity with the cultural histories and mythologies of the ancient world, and the theologies that determined so much of how life was lived in medieval Europe. Through me you join with the desolate souls. By the sum of all knowledge, the wellspring of love. Suspended above a great arching doorway. And put far behind you all faint-hearted fear. And then came to know what had been concealed. Which brought me both sorrow and a streaming of tears. All through the rank air in that place of despair. I said: “My master, what do I hear? And what people are these so defeated by grief? Whose lives were worth neither praise nor disdain. Who served only themselves, ignoring their maker. He said: “I will tell you in very few words. Despised by both God and by God’s enemies. I spoke not a word till we reached the broad river. Screaming: “Woe be upon you, despicable souls! To eternal darkness, to fire and to ice. 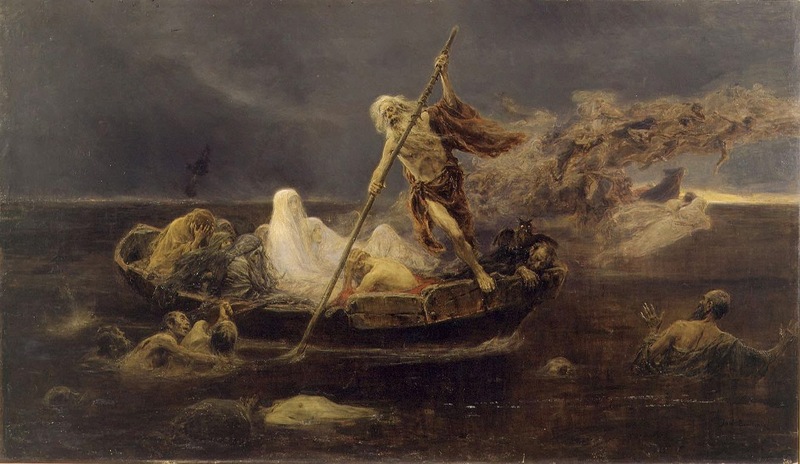 My guide said to him: “Be calm now, Charon. And wheels of fierce fire encircled his eyes. As they finally grasped his ruthless intent. And the passion that brought them to earthly birth. That awaits every man who has no fear of God. Beating all who stalled with his weighty oar. Like birds that attend to each other’s call. A new herd had arrived awaiting their turn. Over-riding all fear of what may await them. A sudden wet sweat breaks out over me. Submerging completely all of my senses. And I fell as one taken, abducted by sleep. A pdf copy of this translation can be accessed here.